Limit product handling and reduce contamination risks with Pacproinc® stacking equipment. Whether your goal is to speed up production or offer more versatile portion control options, stacking equipment from Pacproinc® can help integrate stacking solutions into your production line. Pacproinc® stacking equipment brings consistent and quantifiable improvement to your production line through faster stacking solutions and improvements. The ProStax DS Drop Stacker is designed to interface with our 100 Series ProLeavers. Its compact design means it can fit into almost any production operation and its pneumatic motion control means it’s easy and affordable to maintain. The DS counter/stacker is equipped with an exit conveyor that is configurable in the field for inline discharge or discharge at 90 degrees for a more compact layout. Widths of 6” and 13” and cycle rates up to 100 per minute this compact system can produce at a very high level and is great for cheese, pizza crust, flatbreads, raw dough, pressed cheese flats, omelets, deli meats etcetera. It can also load fresh burgers directly into a tray. The ProStax PS Platform Stacker for our 100 Series ProLeaver is available in 13” width and is designed for short portions, 6” and under in one or two lanes. 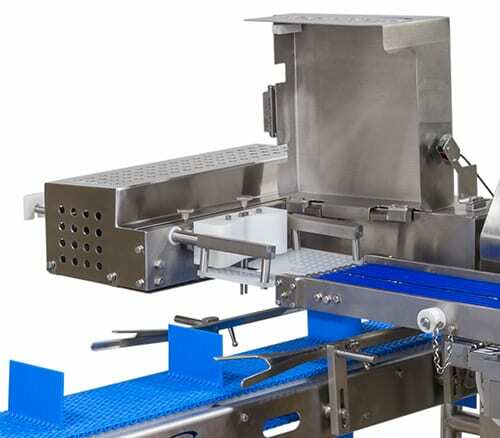 While all ProStax systems eliminate labor and repetitive motion the ProStax PS is designed to reduce the drop height of portions when counting and stacking. It’s great for deli meat and cheese. 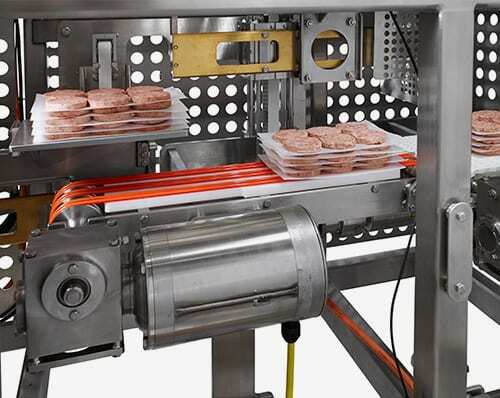 Pacproinc® can help improve food product presentation, production and consistence with automated stacking.